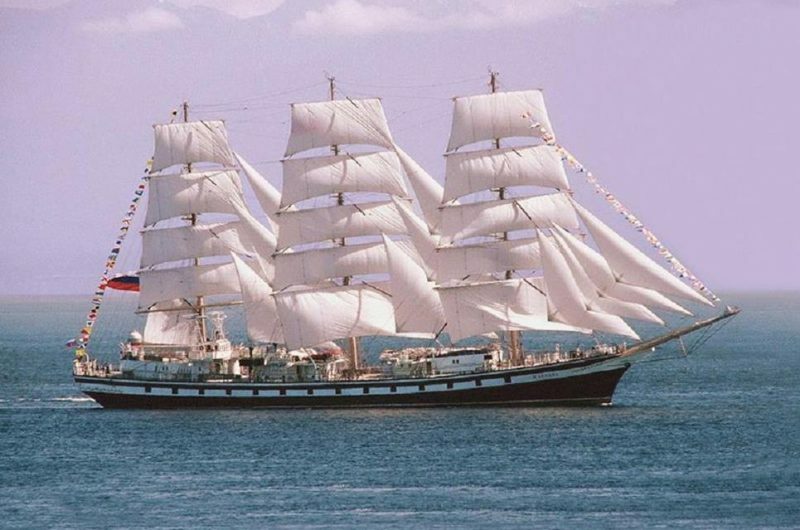 Pallada was designed by Polish naval architect Zygmunt Choreń, launched in 1989 and only three years later she sailed around the globe. 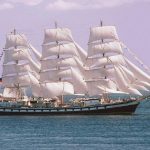 Her round-the-world cruise was dedicated to the 270th anniversary of Russia’s colonization of Alaska and the 50th Anniversary of Yuri Gagarin’s pioneering space flight. She is considered the world’s fastest sailing ship as she holds the world speed record of 18.7 knots. There exists a claim that during her circumnavigation of 2007-2008 she reached 18.8 knots, but this record still remains officially unrecognised.